The 95% of species originally registered in the Ecuadorian archipelago of Galapagos are in “good state of conservation”. 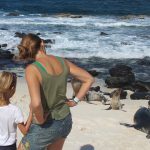 The Manager of the Galapagos National Park explained that the percentage involves all native and endemic species grouped in vertebrates, invertebrates and plants. For example, he said there are 1,238 penguins, a species classified as “very vulnerable” due to climate change, while there are 300 flamingos throughout the archipelago. On the other hand, the estimated population of tortoises is between 45,000 to 60,000 individuals. The population of marine iguanas exceeds 60,000 individuals, while the terrestrial ones, would range between 10,000 and 15,000. 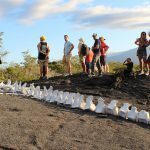 “These species are very important in the ecosystem of Galapagos, and having these numbers are really important,” the PNG concluded that “95% of the native species to Galapagos remain in good and excellent state of conservation,” he said. You will be able to see some incredible species in Galapagos among them turtles and iguanas. For us is really important to strengthen our commitment to the environment, we avoid the use of short life cycle products to minimize contamination; we promote the sustainable reuse of organic waste, and we have a wastewater treatment system with environmental quality standards. Fragata Yacht has arranged some incredible itineraries in order to give you the best experience. Feel free to communicate with it will be a huge privilage to assists you!